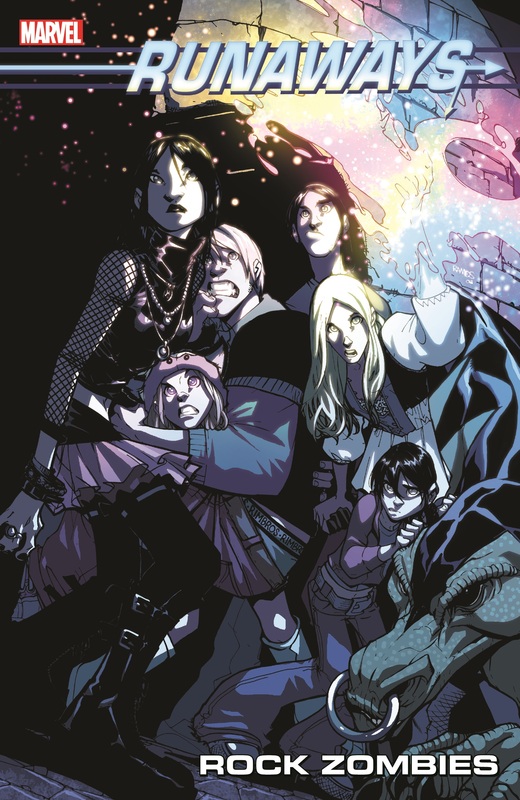 A group of kids — including a witch, a robot, a mutant and a time-displaced girl — living together in Los Angeles. What could possibly go wrong? 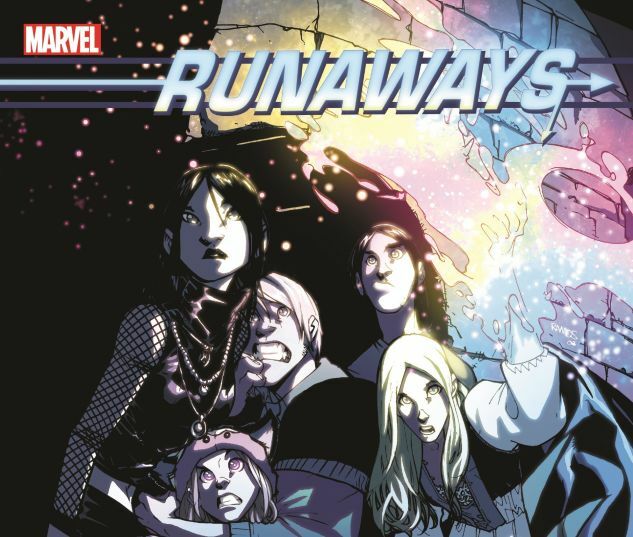 After saying goodbye to one of their own during a conflict with some aggressive alien invaders, the Runaways are attempting to get back to normal — which for them means video games, camping trips and, of course, neutralizing potential violent threats to the City of Angels. Meanwhile, a popular radio DJ is concocting a devious scheme. With the help of a mysterious magician, Val Rhymin produces a song guaranteed to take Los Angeles by storm. Using a mystic chant layered in with the tune, the song magically turns anyone who has undergone plastic surgery into an obedient zombie! And since it’s in L.A., that means a lot of zombies! 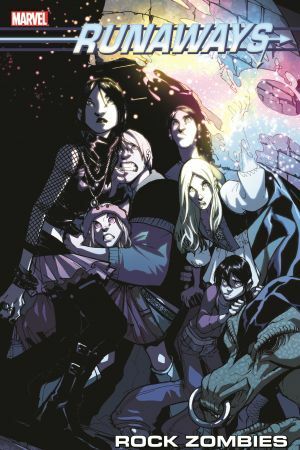 Collecting RUNAWAYS (2008) #7-10.